Russian Verb mastery made easy with our latest port to iOS! Learning Russian and an iOS user? Now you can tap into the drill power of Russian Verb Blitz with our latest release on Apple’s Platform. As a highly declined language, Russian can be an intimidating wall of endings for beginner to intermediate learners. 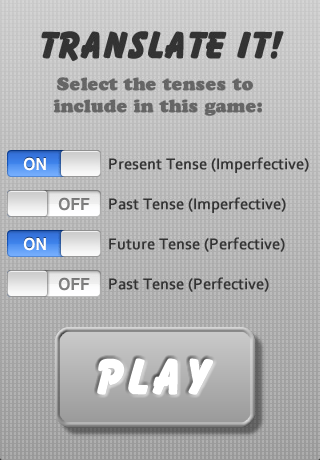 Never fear: the key aim of the app is to make learning tricky conjugations just a little more systematic – and fun! Android users have enjoyed the app for some time – and now iOS users can get a piece of the action too. Each activity tracks your progress, too. At a glance, you can see which verbs you find trickiest – great for planning and focusing your studies. With over a hundred core terms, the app is also a great way to learn and consolidate key vocabulary. 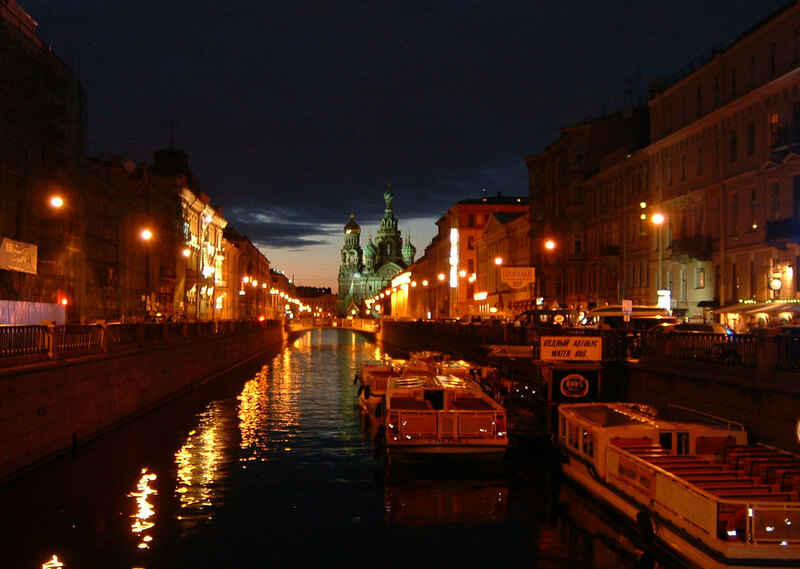 Through regular practice, you can master some of the most common words in everyday Russian. The app is available from the iTunes App Store right now at $0.99 / £0.99 / €1,09. Click here to visit Russian Verb Blitz on the App Store! Posted in Apple Apps, Grammar, iOS, Russian, VerbsTagged app, Apple, apps, grammar, iOS, iPad, iphone, language games, language learning, languages, russian, Russian languageLeave a Comment on Russian Verb mastery made easy with our latest port to iOS! Russian Verb Blitz : New free version! We are happy to announce the release on Google Play of a new, free version of RusMate’s interactive verb reference and learning tool, Russian Verb Blitz! The new version is exactly the same as its paid partner, the only difference being the inclusion of banner ads in the app. Recognising that many Russian learners will have student status, RusMate hopes the release of a free, ads-driven version allows many more people to enjoy brushing up their verbs with Russian Verb Blitz. Click here to view the free version of RusMate Russian Verb Blitz on Google Play. For the paid, ads-free version of RusMate Russian Verb Blitz, click here! Posted in Android Apps, Apple Apps, Google Play, RussianLeave a Comment on Russian Verb Blitz : New free version! Russian Verb Blitz now on Android! 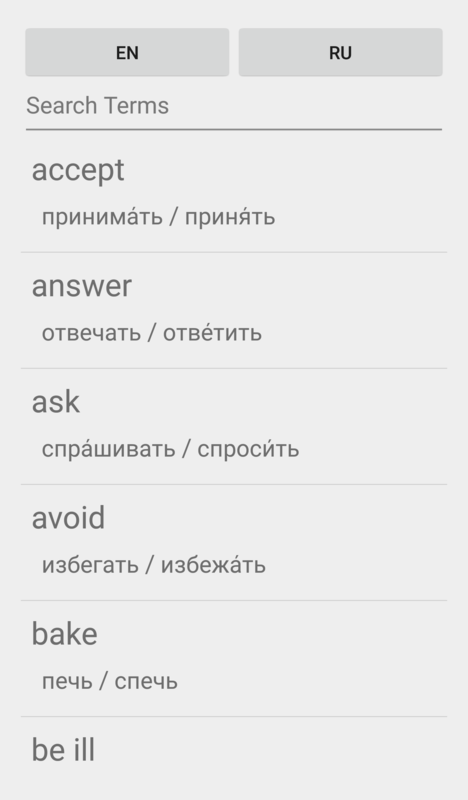 RusMate is back with a brand new, native Android app for learning and revising over a hundred Russian verbs! Russian Verb Blitz is an interactive reference guide to over a hundred Russian verbs, detailing both imperfective and perfective forms for practice and revision. Not only that, but there’s also a handy infinitive quiz to test yourself on the meanings of all of them. Great for perfecting your grammar and also expanding your vocabulary! Russian Verb Blitz is available from the Google Play Store at this link. Posted in Android Apps, RussianTagged app, application, Google Play, grammar, russian, verbs, vocabulary1 Comment on Russian Verb Blitz now on Android! Match colour words on your iPhone with our free app! Download our new free iPhone app and fill your empty moments with a bit of language practice! Language Colour Match is now available on the iPhone from the App Store at this link. And what’s more, it’s completely free! A simple pelmanism game using thirteen words for colours in languages including Russian and Gaelic, it’s a nice way to consolidate some very useful words whenever you have a spare few moment. Click here to visit Language Match for iPhone in the App Store! Posted in Apple Apps, Russian, Scottish GaelicLeave a Comment on Match colour words on your iPhone with our free app! Russian Verb Blitz updated – now with perfective and past! Russian Verb Blitz is now even more useful for practising your Russian grammar, with the addition of perfective verbs and past tenses to the Translate It activity! Focus on the tenses you want to practise for the perfect verb learning experience. Click here to visit the Russian Verb Blitz app in the iTunes App Store! Posted in RussianLeave a Comment on Russian Verb Blitz updated – now with perfective and past! 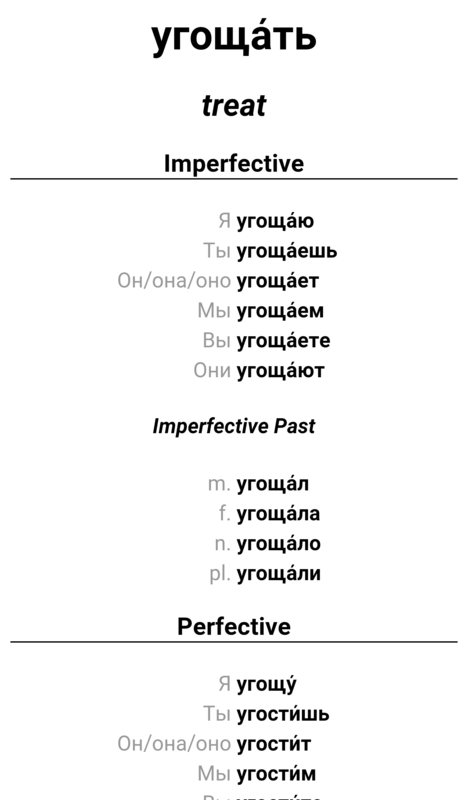 You can now practise even more verbs with the Russian Verb Blitz app, which has been updated to contain almost a hundred imperfective present / perfective future conjugations. Download the app here. Likewise, our Scottish Gaelic app has been updated with new topics and some improvements to the activities. Download the app here. Note that existing users simply need to update their apps in iTunes to get the updated versions for free. Posted in Russian, Scottish GaelicTagged app store, iphone, iphone apps, ipod touch, ipod touch apps, updatesLeave a Comment on Russian Verb Blitz and Scottish Gaelic app updated!